on-demand care and distance care technologies. Learn more about empowering your practice with the value of augmented medicine. Medpod is a software company that is revolutionizing the delivery of care. Our Augmented Medicine Platform – AMP, removes long existing barriers, enables the capture and analysis of relevant patient clinical data, and facilitates high quality consultations between patients and remote providers, anywhere, any time. Medpod is a complete healthcare technology and infrastructure ecosystem architected intentionally to transform the delivery of care. 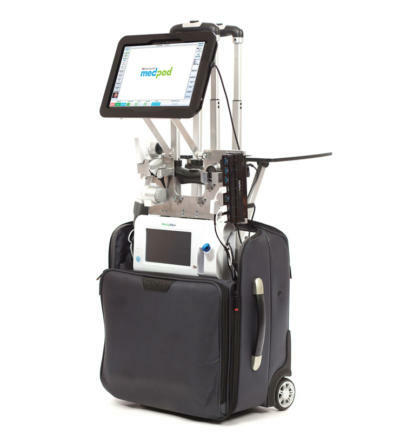 The Medpod AMP™ software platform offers an unprecedented level of options for high quality doctor-patient encounters and care team information-sharing, with real-time and store-and-forward communication. 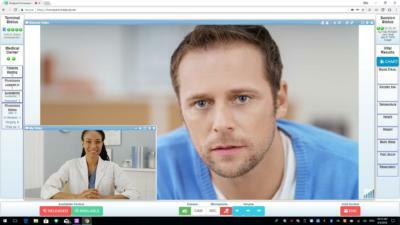 In collaboration with our best-in-class partners we have applied extensive clinical research and medical technology expertise to leverage the latest advancements in live, cloud-based, two-way televideo communications and real-time medical-grade data streams to empower practitioners and providers to deliver efficient, optimized, transformative care to any patient or locale. Medpod’s cloud-based software and modular infrastructure gives providers and operators the ability to implement a solution that is precisely tailored to their needs, while maximizing the quality of the clinical encounter. Medpod’s strategic partnership with the leading diagnostic device and lab analyzer manufacturers and software developers has facilitated a unique level of integration into the Medpod AMP software platform, offering exceptional tools and services that enhance provider and patient experience. 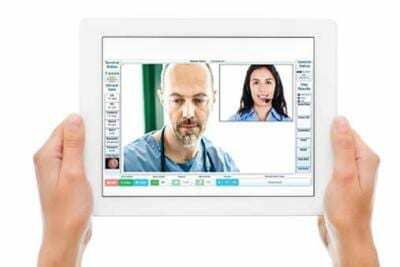 Medpod’s software offers multiway functionality, to bring in other members of the care team, specialists or live translator, to maximize the speed and efficiency of the communication. Insure that the patient-provider-care team communication is accurate with on-demand, video remote translation and interpretation services, including American Sign Language. At all stages of life your brain needs protection. 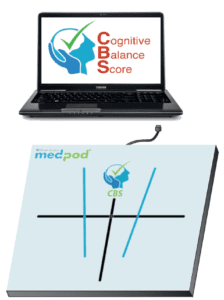 Cognitive Balance Score (CBS) is a suite of breakthrough technologies. CBS tests your balance and cognitive function in just 2-3 minutes. What makes Medpod so unique? Optimizes clinical and administrative workflow efficiencies via data integration, saved travel time, etc. To be the best, you must partner with the best. Medpod is known by the companies we keep.